This is usually well attended and is a great opportunity to buy Christmas presents that are both beautiful and unique. We can't say that Santa will be paying a visit but we look forward to seeing you instead! 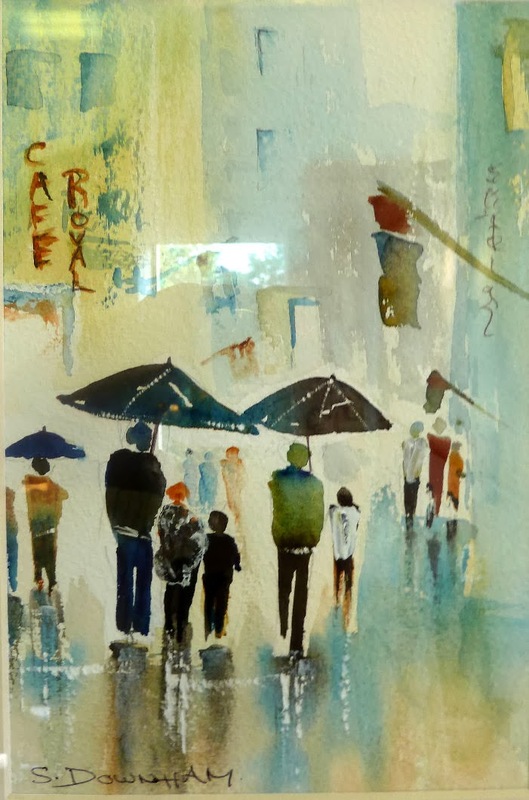 "Rainy Day Shoppers" a watercolour by S Downham.